New program cuts down on the number of improperly disposed sharps in public spaces. 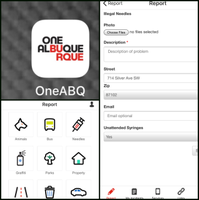 Albuquerque Mayor Tim Keller unveiled a plan to clean up improperly disposed needles and syringes around the City. Joined by City and County officials, Mayor Keller explained how the new S.H.A.R.P (Safe Handling and Routing of Paraphernalia) Program is a coordinated effort among several City departments along with Bernalillo County, to cut down on the number of improperly disposed sharps in the City’s public spaces. “We're fighting crime from all sides to make our communities safer,” stated Mayor Keller. “There's no doubt that our city is facing many challenges related to addiction. One of the signs of those challenges is the improper disposal of needles in public spaces, especially parks. The S.H.A.R.P. Program is one way we can work together to take back our parks and playgrounds. Each time our teams go out, we hope they will have fewer and fewer needles to clean up. That will mean more folks are getting the help they need." Under this new initiative, eight City departments will coordinate efforts to quickly respond to citizen reports of needles and syringes found in public spaces. 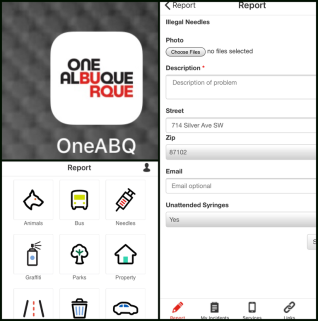 When a needle is found, citizens may call 311 or use the City’s new One ABQ app to report its location rather than 911 or a specific department. The app allows people to include a picture of the exact location of the item to help responders quickly locate and dispose of it. Trained City employees will then locate and dispose of the sharp in a safe manner.